Growth in event spend slowed over the final quarter of 2015, the latest IPA Bellwether report has revealed. The Q4 report found that a net balance of +0.6% of all companies revised their events budgets up. While this represents a slight increase, it is down from the previous quarter’s Bellwether figures, where +2.6% of companies reported an increase in event spend. 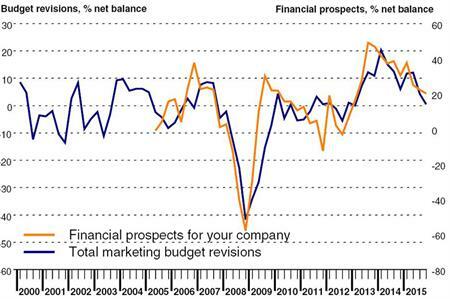 The report stated that overall, marketing budgets had witnessed the smallest upwards revision for three years. Paul Smith, senior economist at Markit and author of the Bellwether report, said companies are looking for a value-for-money approach. In addition, the trend towards online marketing has continued, with +6.9% companies reporting an upwards rise in budgets. "Marketing budget growth eased again in the final quarter of the year, slipping to a near three-year low in line with the softer UK macroeconomic environment that has been evident over the second half of 2015," explained Smith. "However, given that the current run of expansion now extends to over three years, by far the best in the 16-year survey history, our gaze remains firmly fixed on the positive aspects of the survey, especially the marked upturn in budgets planned by marketing executives for 2016/17. We therefore wait to see if Q4 2015 proves to be a nadir in the current cycle or whether we have a little way to go before we again see a sustained upward trajectory in Bellwether."